Welcome back to Something About Coins! Today's articles include tips and tricks to avoid buying fake American Silver Eagle coins and some exciting news about the upcoming World's Fair of Money convention. PCGS will display one of the all-time finest American copper cents collections, and more numismatic lecture series for the convention have been announced. 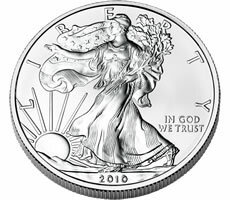 Other topics cover a dispute over an ancient silver coin discovered in Shropshire, England, a beautiful Carson City Half Eagles collection, and more. Enjoy!